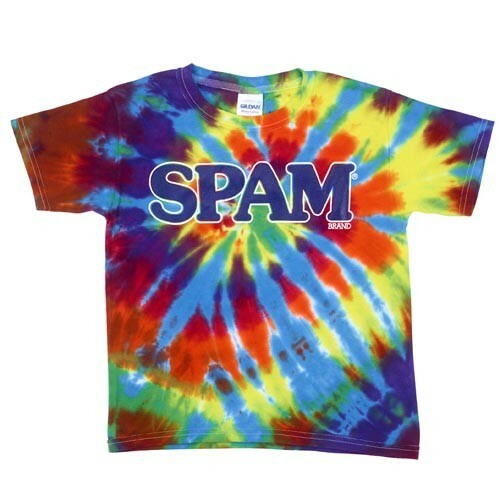 A fun way to show your love of the SPAM® Brand. Multi colors dyed together with SPAM® Brand imprint on front. Available in adult sizes S-XXXL and youth 6-8, 10-12, 14-16.